I am really into making tiny beaded earrings these days! 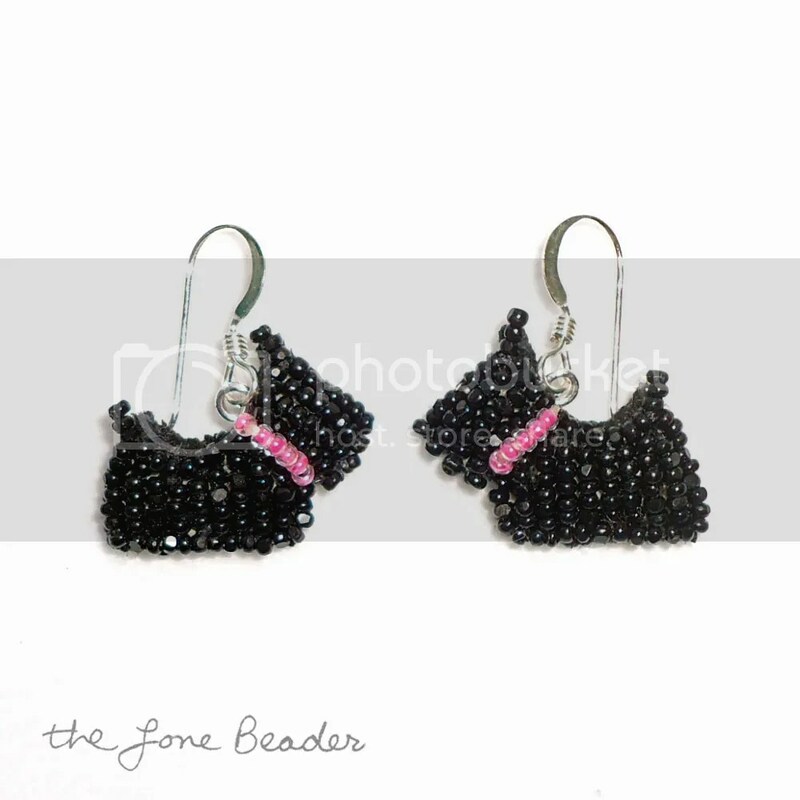 Here are my latest pair of beaded Scottie Dog earrings. These are very lightweight – only 8 grams! Beadwork hangs from small sterling silver ear wires. These Scottie Dogs are wearing pink beaded collars, but I can make them in any color you wish.. These can also be made as tiny post earrings.. Please click the pic for more details. Also, just a quick note to let you know that I am running a 2-Day Sale in my Etsy shop – this weekend only! All ready-to-ship beaded dog pins and pendants are 10% off, and all beading kits and patterns are 15% off.. Save an additional 10% off at checkout with coupon code HOLIDAY13. Please keep in mind, all orders (within the USA) must ship out via USPS Priority Mail no later than December 21 to guarantee Christmas delivery. I can no longer guarantee Christmas delivery for international orders. Thank you for your understanding, and thanks for your interest in my beadwork! They are so cute. I love scottie dogs!